This is a neat little item and something new to me but something my daughter had wanted for her guitar. She is all into music and this is nice add on item that makes playing a guitar really nice. Currently she uses a string but this will be sent to her so she can use this to make music the like she would like to. Easy to use just squeeze and place smaller part on the bottom of your guitar neck and the longer part across your strings where needed. I think my father would have enjoyed using this on his guitar. I loved hearing him play. 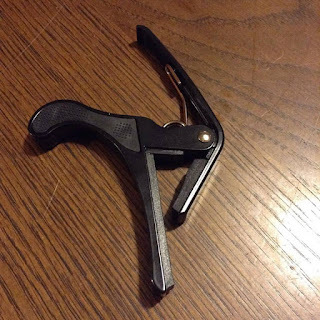 This Capo can be found on Amazon. 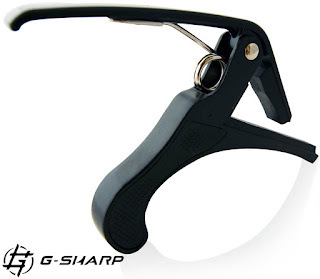 What GSharp has to say about their product. This beautiful guitar capo fits comfortably in your hand. You don't need to adjust it, just place it on your electric or acoustic guitar, and it will nicely hold the strings tight to ensure a high quality sound. Quickly and easily released and repositioned without disturbing the tuning. You only need one hand to operate this capo. Disclosure: MarksvilleandMe received one or more of the products mentioned above as part of a promotion with Tomoson and Alegria Store. Regardless, MarksvilleandMe only recommends products or services we use personally and believe will be good for our readers. Some of the links in the article may be “affiliate links.” This means if you click on the link and purchase the item, I will receive compensation. If you would like MarksvilleandMe to review a product or service please contact us at marksvilleandme@gmail.com.